Here are a number of classical writings showing various love aspects and the height and breath of love — especially Divine Love. It does not envy, it does not boast, it is not proud, it is not rude, it is not self-seeking, it is not easily angered and it keeps no record of wrongs. Whether standing or walking, seated or lying down free from drowsiness, one should sustain this recollection. This is said to be the sublime abiding. By not holding to fixed views, the pure-hearted one, having clarity of vision, being freed from all sense desires, is not born again into this world. and a complete blending together. you can do anything and can go anywhere. and everything falls into place in true perfection. There is a right time and season for everything. Be still and behold the unfolding of My vast and glorious plan. and now is the time for this to take place. so be prepared for anything at any time. all dislike, intolerance and hatred walk out for they cannot dwell in the same place. They cannot mix any more than oil and water can mix. for that which is within is reflected without. Your inner spiritual life cannot be hidden. It is revealed not in many words, not in actions, but in your whole being. 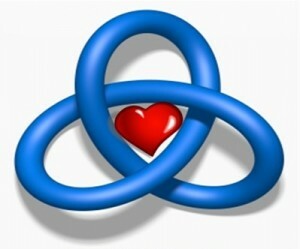 The very atoms of your being are affected by love. You are surrounded by beauty everywhere. Open your eyes and see it and give constant thanks for it. to your highest and best. Beauty draws the very best out of and unites you with the highest. The beauty that is within you cannot be contained …. it will be reflected without; let it shine forth. and reflect Me for I am beauty. for by rising above them you can help transform and transmute them. Beauty is in the eye of the beholder, therefore it is deep within you. in everyone and everything and you will do so. Love and beauty go hand in hand. the greater will be the unity and oneness. I say to you over and over again, ‘Love one another’. and does not pick and choose who is going to be loved and who is not. My love is the same for each and every one. How much you are willing to accept is up to you. it is simply up to you. It is always there waiting for you when you are ready for it. This is what is taking place at this time. which brings you all closer together, uniting you in oneness. it is beyond personality, it is one of the highest. for possessive love stifles and kills; it shuts out My divine love. My universal love grows and grows. and yet all are one in it, all feel part of it. It enfolds all because it is the allness of all – all inclusive. and never be ashamed to demonstrate your love for one another. From: Footprints on the Path by Eileen Caddy, p. 17-19. Love, but not the sensuous fire that burns, scorches and tortures, that inflicts more wounds than it cures — flaring up now, at the next moment being extinguished, leaving behind more coldness and loneliness than was felt before. Love is swift, sincere, kind, pleasant, and delightful. Love is strong, patient and faithful, prudent, long-suffering, and manly. Love is never self-seeking, for in whatever a person seeks himself there he falls from love. Love is circumspect, humble, and upright. It is neither soft nor light, nor intent upon vain things. It is sober and chaste, firm and quiet, guarded in all the senses. From The Imitation of Christ, Book 3, Chapter 6. Thomas À Kempis, original name Thomas Hemerken, born 1379/80, in Germany, died 1471 in the Netherlands, was a Christian theologian, the probable author of Imitatio Christi (Imitation of Christ), a devotional book that, with the exception of the Bible, has been considered the most influential work in Christian literature.